Crossing Georgian Bay on SUP in Winter. ©Scott Parent Photo. Often considered the sixth Great Lake, Georgian Bay is a huge expanse of water. 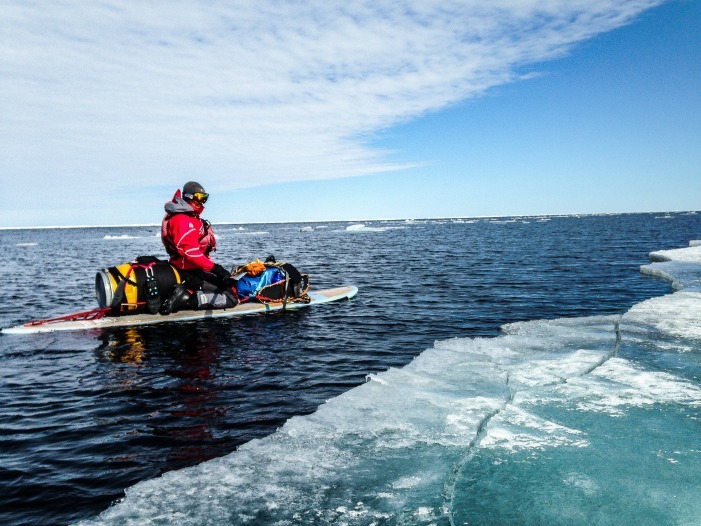 And for the last few years, SUP adventurer and Fathom Paddle Guiding owner Scott Parent’s dream has been focused: crossing Georgian Bay on SUP in winter. 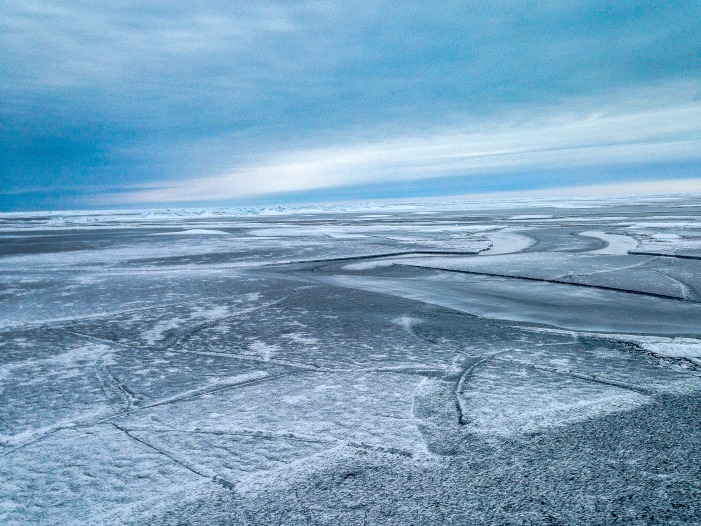 The weather didn’t co-operate in the winter of 2014, but in 2015, with record low temperatures, the ice was set. And together, with Zane Davies of Explorer’s Tread, they set off on March 11, 2015 to do something that had never been done before. While Parent is no stranger to the Bay (he SUP’d across it in 2011), or paddling in the icy waters of winter, this excursion tested all of his and Zane’s skills. 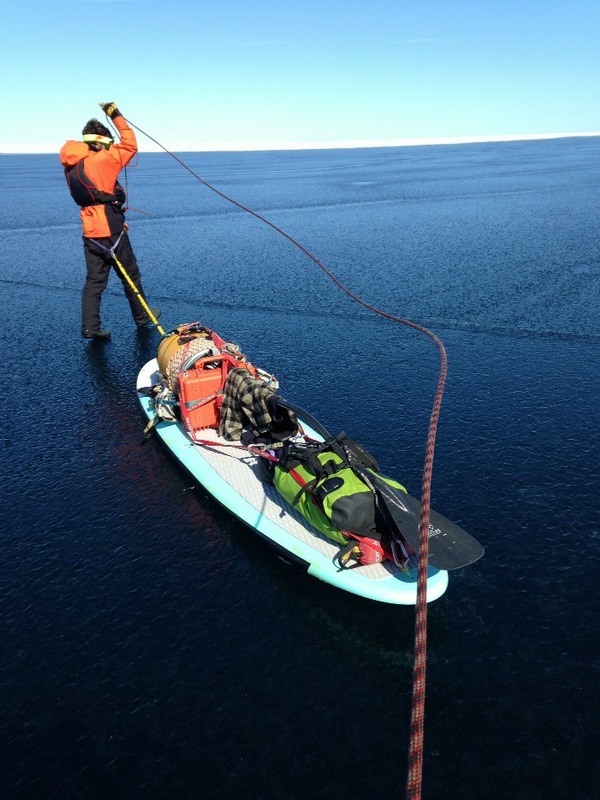 With ice-climbing tools, modified paddleboards, dry suits, ski poles and more, their motley collection of gear from a variety of different sports all proved invaluable. 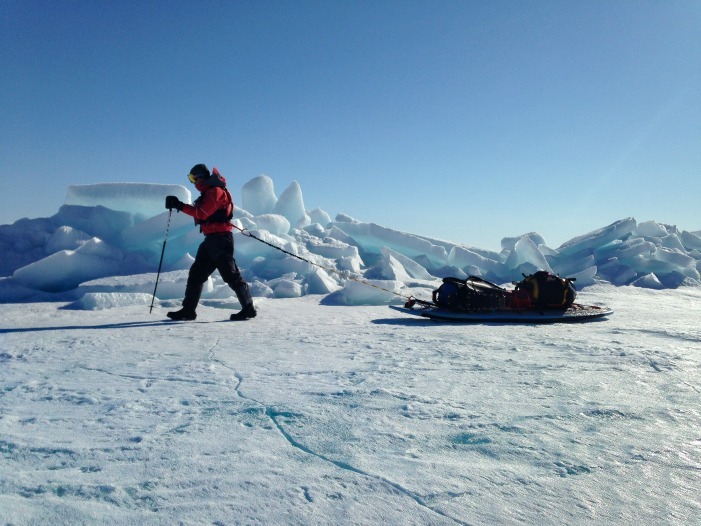 Leaving from Cape Croker, they first needed to traverse a one kilometre stretch of open water. A section they’d spent the previous week perfecting their systems (and destroying a paddleboard) on. 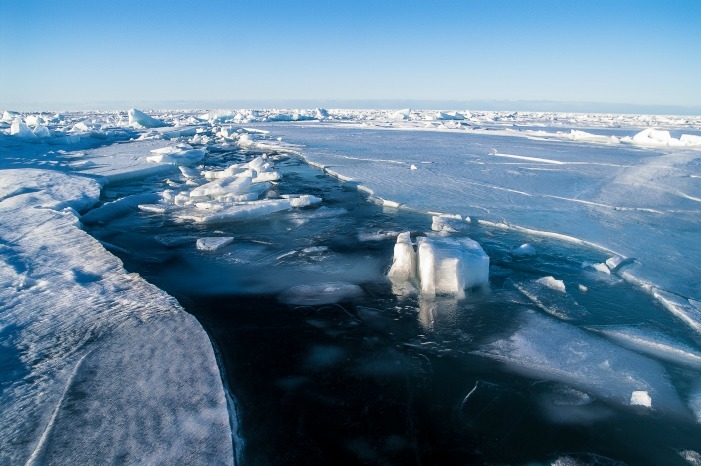 They spent the first night camped on the ice where they drifted nearly two kilometres throughout the night. And they woke beside a river of water that hadn’t existed the night before. From Cape Croker it was a 55 kilometre paddle-and-hike before reaching the lighthouse on Double Top Island in the Western Islands. It was another 27 kilometres to get off the Bay. 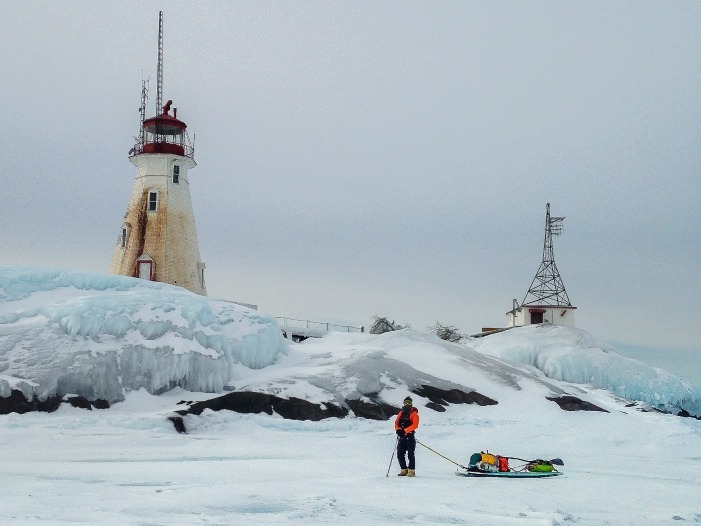 With temperatures above zero during the three days they were on the ice, they finally arrived at 12 Mile Bay on March 13, 2015, where they became the first people to ever walk across Georgian Bay. 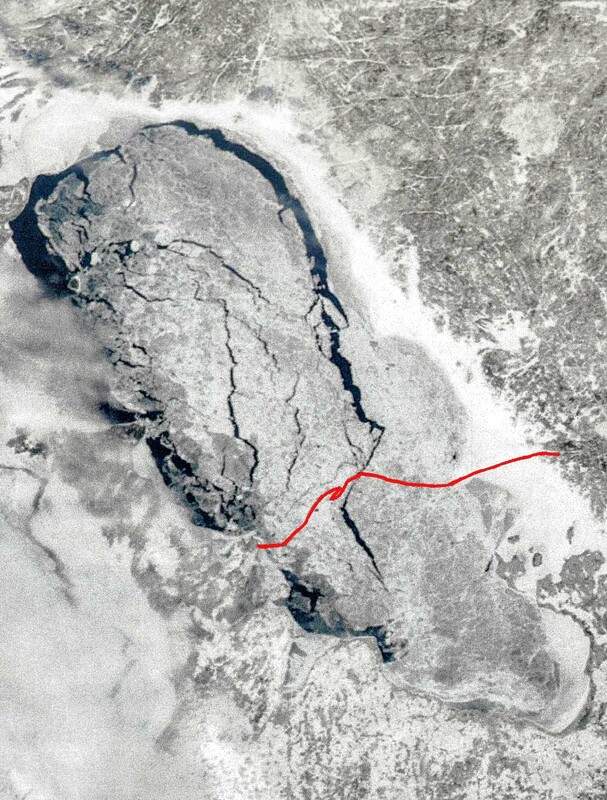 The Line from Cape Croker to 12 Mile Bay. Crossing Georgian Bay on SUP in Winter.